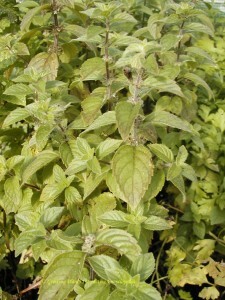 Mentha piperita f.citrata. This spreading perennial has spikes of small, tubular, purple flowers with two lips in late summer. 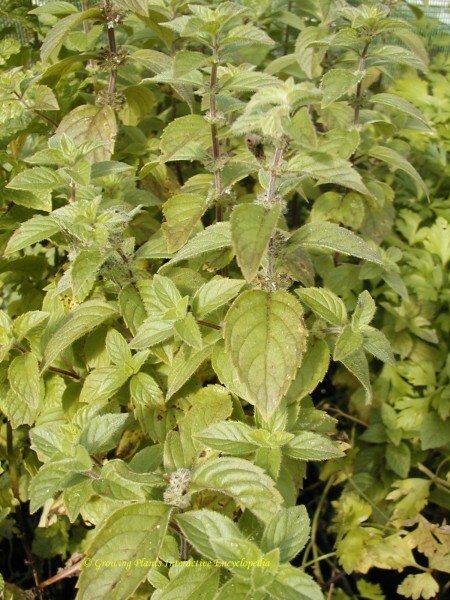 A carpet of oval, dark green ,strongly scented leaves appears. 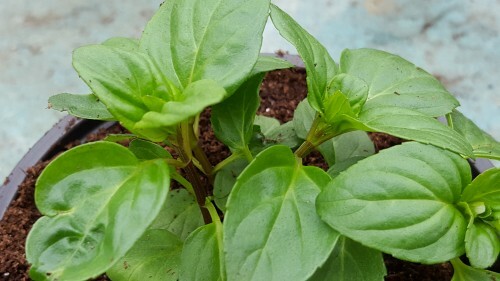 One of the first mints to appear and great for pesto sauces until the warmer weather bring the real basil. Natural habitat: A natural hybrid, M. aquatica x M. spicata found in moist soils on the sides of ditches, roadsides etc in S. England.